Merete Stæhr-Nielsen Humlebækvej 12 DK 3480 Fredensborg +45 2363 2253. A uthor of the booklet 'How to make your groomer Happy' published in Denmark 2003 and in Sweden and Norway. The author of many articles of trimming, coatcare and dogshowing. 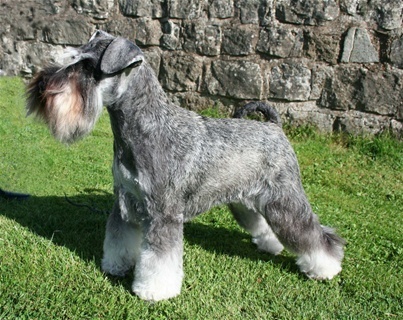 Committee member and editor of the clubmagazine over the years in the Danish miniature schnauzer Club.